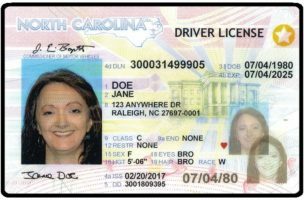 RALEIGH – The N.C. Division of Motor Vehicles has surpassed the 100,000 milestone since the REAL ID debuted in May. The N.C. REAL ID is a new form of identification that meets new federal security requirements for boarding a commercial airplane or visiting a military base or other federal facility. The total number of REAL ID driver licenses and identification cards issued to-date is 106,074. Currently, REAL IDs account for 14 percent of all issuances. DMV officials encourage residents to obtain a REAL ID when renewing their driver license or ID card. To make it more convenient when boarding, frequent flyers are recommended to apply for their REAL ID in advance of their next flight. Appointments for priority service can be scheduled for any driver license office by calling the DMV Customer Contact Center at 919-715-7000. Without a REAL ID, travelers will have to provide additional identification to board a commercial flight and visit other federal facilities beginning in 2020. The required identification may vary. The complete list of verification documents is available at NCREALID.com.